The developers sought to create an acoustic environment that had never been achieved elsewhere. 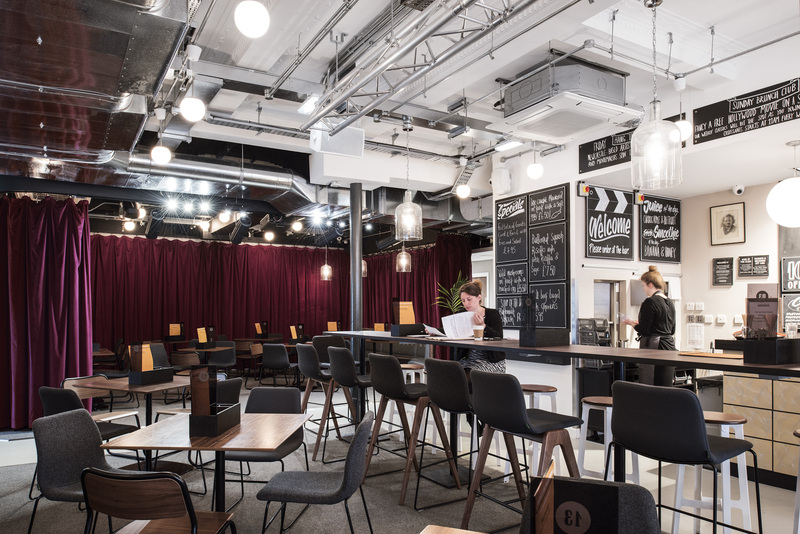 The concept was for a café bar that contains a film screening area and simultaneously achieves acoustic conditions that enable film-watchers to enjoy the film without excessive intrusion of café bar noise; café bar patrons to enjoy a lively atmosphere enhanced by the film; and the ability to flexibly use both areas as one space. This may be a small environment but it presents a significant acoustic challenge. This is a well explained project with in some ways a deceptively simple solution for a difficult problem. The project is more complex than merely placing a small screening area next to a bar, it has to be flexible enough to use the space in a variety of ways and as one open space and this project demonstrates that flexibility. This type of solution and approach could be adopted in other building design contexts where there is an adjacent conflict in acoustic requirements at the same time as a fluid space. The judges were interested to see that the venue frequently screen silent films with the curtains open, as they find that the big screen helps draw in passing trade. This was one of the few entries that was not an office space which helped it stand out from a very competitive field. The judges considered it was a challenging location in which to achieve good acoustics. This was the first time they had seen TripAdvisor used to validate the acoustic performance of a building!